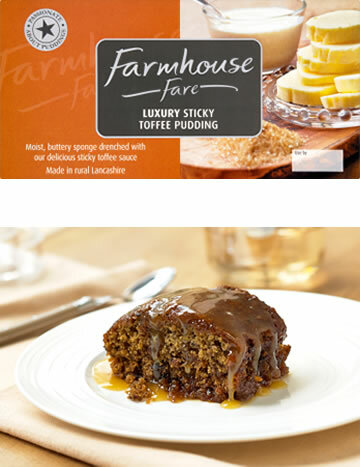 Moist, buttery sponge drenched with our delicious sticky toffee sauce. This is our traditional recipe - the one we started with and still our favourite and yours. Our pudding is made sticky, with a dense gooey texture, by adding dates to the all butter sponge. Then we drench the pudding in a rich, velvety toffee sauce. A classic combination of sticky and sweet, a crowd pleaser every time.